This huge image seems like it might be interesting. You may want to make it into a pdf so we can view it. Sorry for this inconvenience. Have you tried the JPEG version? 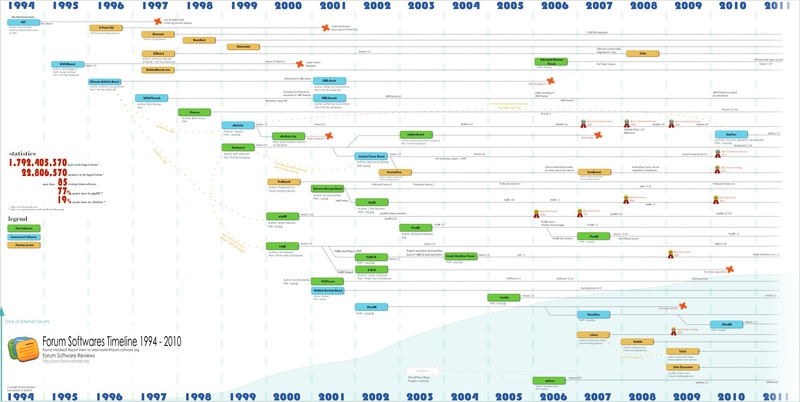 The page http://www.forum-software.org/forum-softwares-timeline-from-1996-to-today lists other possible format, even, if, indeed, PDF is not available. I'll see what I can do. And, by the way, are you sure your computer/Internet browser is/are not too old for supporting big images?